Hermann Wurst Haus offers full-service catering; available on- or off-site. Perfect for corporate events, weddings, rehearsal dinners, anniversaries, family reunions, holiday parties and more. 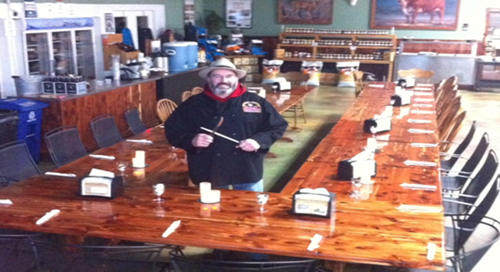 We feature a nice selection of quality meats, housemade side dishes, desserts, as well as meat and cheese trays. Our menus can be customized to suit your needs. Call Lynette, who will be happy to answer your questions, 573-486-2266. Hermann Wurst Haus can seat up to 100 people on-site for private parties, with a miniumum requirement of 25 people. Extensive catering menu, featuring a build-your-own menu. We offer our privately brewed Wurst Haus beers, Wurst Haus flavored sodas and local wines for an additional charge for your special event. Special event menus must be finalized one month in advance and a final count is due seven business days prior to function. Billing will be made from that number. There is a $150 space rental fee for after hour events held at the Hermann Wurst Haus and a $250 delivery and setup fee for off-site events. A $150 deposit is due at the time of booking an in house event which will be applied to the space rental fee, and a $250 deposit is due at the time of booking an off-site event which will be applied to the delivery and setup fee. These deposits are non-refundable. 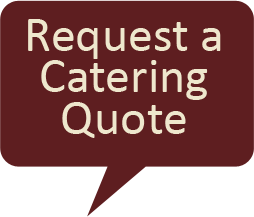 Delivery and set up charges may apply for off-site catering events. All Prices include state and local taxes and 17% gratuity. We are the best caterers around! Read What Our Customers are Saying . . . I was recently married in Hermann and had hired the Wurst Haus to cater my reception. I had spoken with one other caterer before going to the Wurst Haus. My experience with the other caterer was terrible-I thought she had a rotten attitude, her prices were high, and the meal that she made for my tasting was only okay. Needless to say, I was disappointed and looking for a better experience. I went to the Wurst Haus and found their prices to be reasonable and their food was great. On the day of my wedding, Mike had everything set up in plenty of time and the lady that stayed to supervise was polite and efficient. The food tasted and smelled great. I had A LOT of guests comment on how good the food was. I would definitely recommend the Wurst Haus to cater any event in the area!